The brand-new plant in Keynsham owned by Resourceful Earth Ltd will be going live in the Spring. 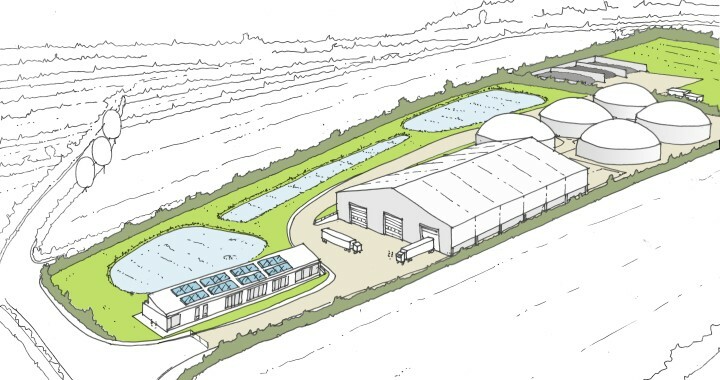 It will use food and feedstock waste collected from households and businesses in Keynsham and anaerobic digestion to produce methane biogas which will then be used to produce electricity. The remaining solids will then be pasteurised and used for fertiliser by farmers. The plant’s 4 x 550 kW combined heat and power (CHP) generators will produce 17.000 MWh of electricity each year which is equivalent to the annual energy demand of 5,000 homes or about 80% of the homes in Keynsham. Additionally, it will also produce 17,000 MWh of heat which will be used to dry wet wood chips. In total the plant should save 27,500 tonnes of carbon each year. The plant will include a visitor centre complete with solar PV roof panels.